・PlanetSolar has been unveiled !
" It was a little later than 3 pm when the largest solar-powered boat in the world was unveiled to the press and to the partners of PlanetSolar in the dockyard in Kiel. At the end of the official ceremony, the lucky people present had the opportunity to inspect the futuristic lines of PlanetSolar. The PlanetSolar team invites you to click on the multimedia tab in order to relive this historic moment. 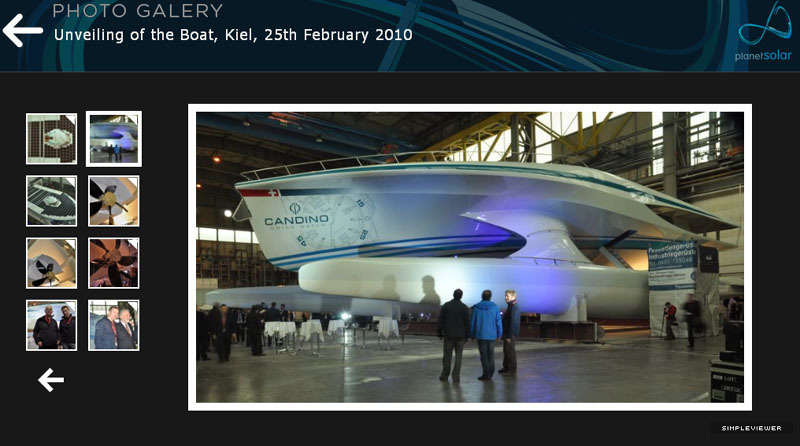 Here you will also find exclusive photos of the boat taken on the 25th of February in Kiel. We are already thrilled about the next step in this great adventure. This will be the launch of the boat, planned for April. " At the HDW Shipyard, PlanetSolar unveiled the world's largest solar boat, which will be powered exclusively by high-efficiency solar cells from SunPower Corp. (Nasdaq: SPWRA, SPWRB), a manufacturer of high-efficiency solar cells, solar panels and solar systems. 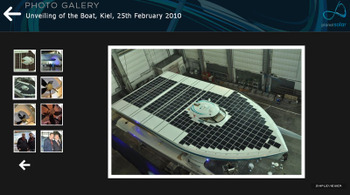 In late March, PlanetSolar will launch its catamaran for testing, and then embark on its round-the-world tour in early 2011. Designed by a team of international engineers, it will be powered by approximately 38,000 of SunPower's next generation cells, each cell offering an efficiency of at least 22 percent, the highest efficiency solar cells commercially available. The catamaran is expected to be the fastest solar boat to cross the Atlantic Ocean and the first to cross both the Pacific and Indian Oceans. Stopovers include Hamburg, London and Paris in Europe, New York and San Francisco in the U.S., and Singapore and Abu Dhabi. The solar boat will be available for public display during each of its stops, offering an educational opportunity to all visitors. 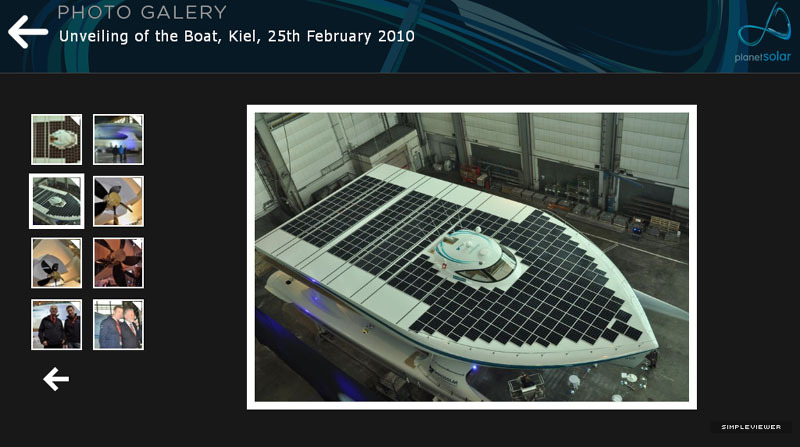 PlanetSolar will achieve the first round-the-world sea voyage powered by solar energy. The world tour will be made on board a revolutionary 30-meter long catamaran covered with 500 square meters of photovoltaic solar panels. 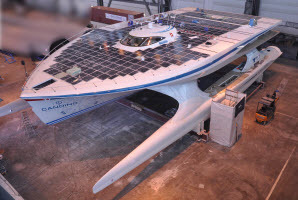 The first solar-powered round-the-world voyage - scheduled for April 2011 - will run from East to West, along an equatorial route.